A new Australian study has found that fertility treatment used to help infertile men become fathers can raise the risk of birth defects in babies. Research on more than 300,000 babies found those born using Intracytoplasmic sperm injection (ICSI) had a significantly higher risk of developing abnormalities than those conceived naturally. Researchers linked a census of more than 6,100 births that occurred as a result of fertility treatment in South Australia to a registry of more than 300,000 births and 18,000 birth defects. The report by the University of Adelaide published in the New England Journal of Medicine shows that on average defects were present in 8.3% of pregnancies that involved fertility treatment compared to 5.8% of those conceived naturally. According to the study, in vitro fertilisation (IVF) posed the least risk to women opting for assisted conception, with defects occurring in only 7.2% of pregnancies. ICSI is primarily used for male fertility problems and this risk is decreased using frozen eggs, according to the study’s lead author, Associate Professor Michael Davies. “I don’t want to scare people,” he said because the majority of babies were born healthy. “But this may be due to developmentally compromised embryos failing to survive the freeze/thaw process,” he said. More than 3.7 million babies are born each year through assisted reproduction. Methods include everything from drugs to coax the ovaries to make eggs to artificial insemination and IVF. Fertility treatments account for about 4% of births in Australia and as many as 8% of them in Denmark, where costs are widely covered, Michael Davies said. In the United States, more than 60,000 babies were born in 2009 from 146,000 IVF attempts. About three-quarters of them used ICSI, or intracytoplasmic sperm injection. ICSI was developed because of male infertility. 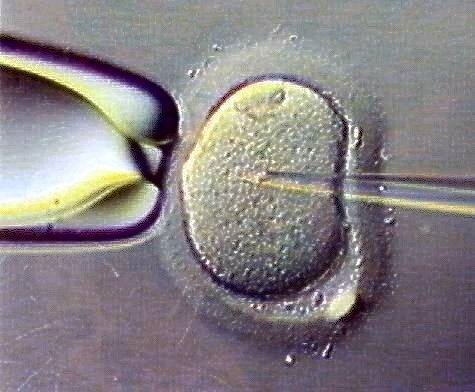 But half the time, it was not done for that reason but to improve the odds that at least some embryos will be created from an IVF attempt. In 2005, the last year for which data was available, 5,935 babies were born as a result of IVF treatment compared to 5,265 babies born with the help of ICSI. One surprising find within the research was a tripling of risk among women who used the drug clomiphene citrate to stimulate ovary production, though this was among a small group within the study. The drug is cheap and easily available through the internet, raising the possibility of abuse, but it is known to cause foetal abnormalities if the woman taking is not aware she is already pregnant. The drug is prescribed after a mandatory pregnancy test in a clinical setting, but this can be avoided in self-medication. Associate Professor Michael Davies said: “While confined to a small group in our study, this is of particular concern as clomiphene citrate is now very widely available at low cost, and may easily be used contrary to manufacturers’ very specific instructions to avoid use if pregnant, as it may cause fetal malformations. “This aspect of the study will need additional confirmation from future research. “A history of infertility, either with or without assisted conception, was also significantly associated with birth defects. “While factors associated with the causes of infertility explained the excess risk associated with IVF, the increased risk for a number of other treatments could not readily be explained by patient factors.